Moneycation: Should you give up your title deed to stop foreclosure? Should you give up your title deed to stop foreclosure? Facing foreclosure is not easy for any home owner. It means that you will not only lose your home, but also the investment you have made in your home. Many home owners facing foreclosure give up as they don’t think that there is anything they can do to prevent their creditor from taking their home. However, there are some things you can do that help prevent foreclosure on your home. One such method is by giving your deed to the lender in lieu of foreclosure. When you choose for the Title deed-in-lieu of foreclosure option, you will have to give your title deed to the lender in exchange for the creditor cancelling your debt. The creditor however must agree to stop or not to initiate any foreclosure proceedings against you. The creditor therefore has the right to sell the house to recover the money you owe them. It is important for you to make the creditor put their promise in writing. They should agree that the debt is cancelled and that you will not be held responsible for any balance on the loan if the amount received for the sale of the house is not enough to cover the entire debt. Creditors tend to play it safe when faced with these situations. They will require you to place your house on the market for at least four months before they will agree to take the title deed and cancel the loan debt. Many creditors prefer to have the home owners sell their homes and simply receive the payment and others are cautious of not receiving the full amount owed to them. You will not have to deal with a foreclosure on your credit report. Many creditors agree that having your house sold makes for a more favorable credit rating than having a foreclosure. You will therefore ensure your chances of getting loans in the future by avoiding a foreclosure. You may not have to go through the tedious process of selling your home. In many cases (especially in areas where property is in high demand) you may end up simply handing over the title deed to your lender and let your lender deal with all the formalities of selling the house. If you have taken multiple mortgages or home loans on your property, or have tax liens against it, you will probably not be able to exercise this option. As mentioned earlier, lenders prefer to deal with cash instead of having to sell the property on their own. 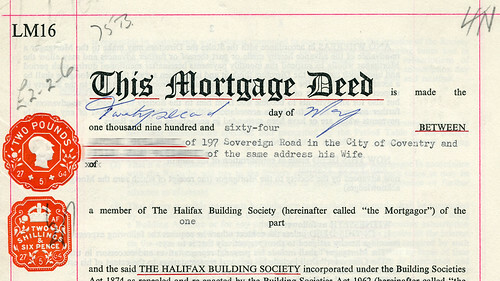 You may therefore have a difficult time convincing the lenders to accept the title deed. However, you may have better chances if you are dealing with a bank. They will weigh the costs of dealing with a foreclosure against simply accepting the title deed and selling the property. It is important to weigh your options when you are faced with foreclosure. Don’t simply give up. You may also want to retain an attorney who is qualified to give legal advice on real estate and foreclosures. When dealing with potential foreclosure, keep in mind that you have many options available to you as opposed to simply giving up your home. About the author: Rick Heldman is a mortgage broker from norther Indiana who specializes in short sale properties. He uses his spare time to give advice to homeowners on how to retain their property rights and avoid foreclosure.